ROME - International Crisis Group representative Claudia Gazzini warned that the deeply unsettling possibility of a repeat of Libya’s 2011 civil war could be on the cards as the nation falls ever further into chaos. Addressing the Foreign Press Association in Rome, Gazzini described the situation as “extremely worrying.” She voiced her concerns that military mobilisation and an incendiary and polarised political narrative could see a full-blown war erupt in the coming weeks, unless polemical issues can be addressed through constructive dialogue. Gazzini noted that Libya is witnessing military activity on a scale unparalleled since 2011, when a nation-wide uprising usurped Muammar al-Gaddafi and brought an end to his 42 years of authoritarian rule. Libya currently finds itself in social and political turmoil after Khalifa Haftar, leader of the nation’s eastern stronghold, launched an offensive against Libya’s internationally recognised government at the start of April. 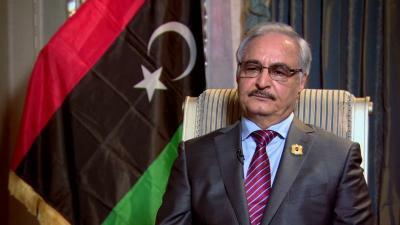 Haftar, who is seen by many as a Gaddafi-esque figure though perhaps more authoritarian still, led his Libyan National Army to the gates of Tripoli in a move that directly challenged the nation’s currently recognised ruling party. While many knew of Haftar’s intentions, even close supporters of his regime such as Egypt and the United Arab Emirates were taken aback by how quickly the general moved in his attempt to seize control. Gazzini believes that the speed with which crisis has unravelled is as a result of three primary factors: a general geo-political realignment in favour of Haftar, the shortcomings of political negotiations, and increasing economic problems for the eastern government who risk crumbling financially in the coming months. Peace, she upholds, is a long way off and can likely only be reached if all parties engage in open and sustained political and economic dialogue. Gazzini called on the United Nations to help create a more sustainable roadmap for the future of a nation that is still destabilised by problems dating back to 2014 when the power vacuum left by Gaddafi proved problematic. For the time being, Libya finds itself at an impasse and civilians continue to suffer. The U.N. Monday implored both sides to observe a provisional truce while civilians were evacuated. It does not seem that their instructions were carried out as the international community continues to call for diplomatic solutions. The UN Human Rights Council revealed that over 3,400 people had already been forced to flee their homes, while many more remain trapped by the cross-fire. At the time of writing, the UNHRC had relocated over 150 refugees from a detention centre in Libya on Wednesday morning alone.